“What the heck am I doing here,” Greg Burns asked himself. It was mid-January, early-morning low tide in Cape Cod Bay. He was standing in about eight inches of water, and his recently purchased discount waders were starting to leak. As a newly minted shellfish farmer, Burns barely knew the difference between a longneck and a quahog, let alone an oyster. Fortunately, with about 25 years as a chef and restaurant manager under his belt, he did know his way around a kitchen. With a boundless supply of energy and an entrepreneurial spirit, Burns would learn what he needed to know about raising oysters and would soon begin offering his harvest by the hundreds each day on the menu of his Dennis Port restaurant, The Oyster Company Raw Bar & Grille. Burns got into the restaurant business like many do. At age 13 he began as a dishwasher, “for $25 and a free pizza.” Two years later, he started cooking at family-style restaurants near his home in Boston’s western suburbs. He converted that early experience to a job cooking at the Ninety Nine Restaurant and Pub chain, which soon grew into a management role. He spent 13 years with the chain, learning all aspects of the business, studying evenings to earn degrees in business and accounting, and eventually advancing to a regional manager’s position. It was this job that got him transferred to the Cape. Though he’d grown up in Holliston, Burns had spent summer vacations in Dennis Port with his family since he was around 12. He’d been hooked at an early age. So when the economy tanked in 2008 and he was laid off by the Ninety Nine, now part of a national conglomerate, Burns decided to stay on the Cape. Fortuitously, it was during this break in his career that Burns met Gerry Bojanowski, a Dennis Port building contractor and oyster farmer who, along with another couple, had converted a former sports bar and opened The Oyster Company in 2005 as a casual dining restaurant. After a few years in business, Bojanowski knew the restaurant needed someone with real industry expertise. That’s when he took on Burns as his operations manager, later making him a partner in the enterprise, and then accepting Burns’ buyout offer in 2009. 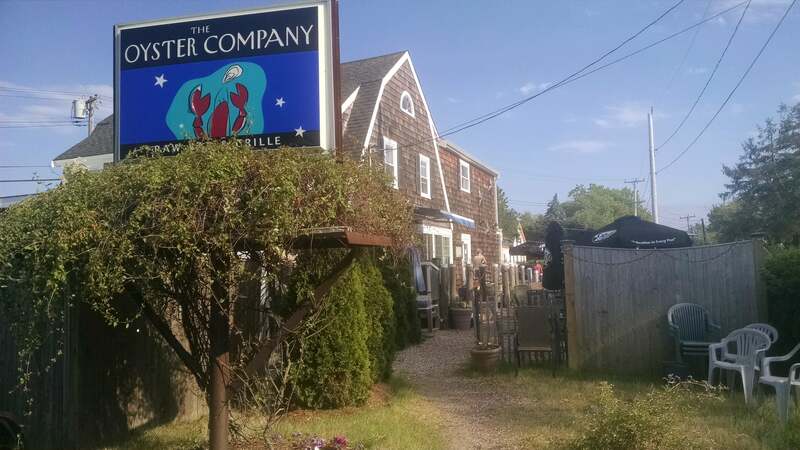 The buyout included not only the restaurant, but also rights to a one-acre plot at Crowes Pasture in Dennis, within the conservation lands skirting Cape Cod Bay. Otherwise known as “the farm,” this is where Burns tends a crop of more than 750,000 American oysters in roughly 200 individual beds. The point where the fresh water of Quivet Neck Creek meets the brine of Cape Cod is an ideal ecosystem for cultivating oysters. The Oyster Company Raw Bar & Grille serves up hundreds of these homegrown beauties on a typical day. Open year-round, the 77-seat restaurant has a full 18-seat bar, a nicely appointed wine list, and an innovative menu that ranges from Oysters Rockefeller and sashimi-grade yellowfin tuna to grilled Angus rib-eye steak. You want Chowdah? Of course, there’s Chowdah. But one of the restaurant’s biggest attractions is a kind-of happy-hour event that occurs daily from opening at 4:00 p.m. through 6:30 p.m., when oysters on the half-shell are offered at half-price. Burns estimates he and his raw bar staff shuck between 1,000 and 1,500 oysters a day. Burns was The Oyster Company’s chef for the first four years, during which he typically worked 16-hour days, beginning at low tide sorting through his oyster beds for the day’s freshest offerings and ending with sweeping up after closing. It took two years of Burns and his girlfriend, Mary Hannigan, sweeping up before the restaurant had generated enough cash flow to hire an outside cleaning crew. Two years later, Burns relinquished the chef’s job, hiring James Ding, a Culinary Institute of America graduate, to take over the kitchen. 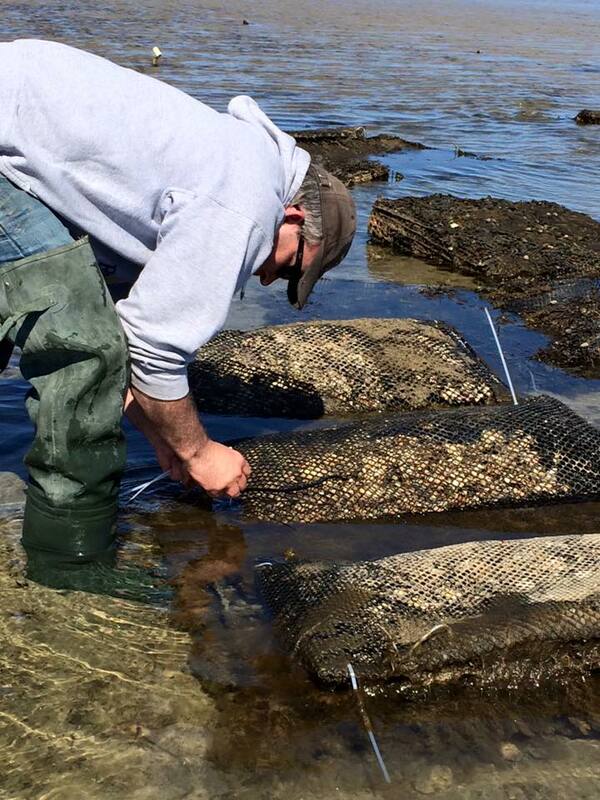 Harvesting oysters is strictly regulated and controlled by the Massachusetts Department of Health to ensure that the harvest is properly executed and temperature-controlled in transport to the point of retail sale. Since Burns is the farmer and the retailer, he also runs a business as the wholesaler, forging the necessary link between oyster bed and the raw bar. It’s an inside job, and Burns’ entire harvest goes to supplying the demand at The Oyster Company. He supplements the harvest with additional Quivet Neck oysters purchased from neighboring aquaculturists at Crowes Pasture, as his yield supplies only about 60 percent-70 percent of the restaurant’s summertime demand, when the population of Dennis grows from around 8,000 to 60,000. “It’s crazy for three months, then you get a few months of quiet during the winter,” said Burns. Summer season sales average up to $100,000 per week, but fall to around $20,000 a week during the winter. When needed, Burns can access a line of credit from Rockland Trust to help the company through lean times. Since he bought the restaurant in 2009, Burns estimates he’s “at least quadrupled” its revenues. In 2015, The Oyster Company Raw Bar & Grille did $2.2 million in sales. By around Labor Day this year, Burns expects the restaurant will sell its two-millionth oyster. One might think that as an oyster farmer, wholesaler, and restaurant owner, Burns would have enough balls in the air. Not quite. 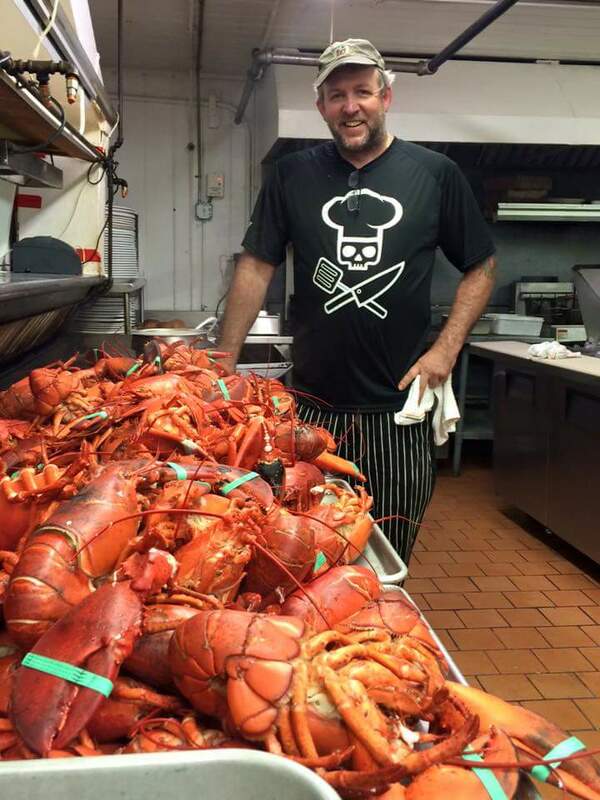 In 2013, he bought the restaurant next door, formerly known as the “Egg & I,” converting it into what is now South Street Depot, the laid-back younger sister of The Oyster Company, where he’s also the chef. Running four businesses might not leave one with much time for dreaming, but Burns doesn’t seem to suffer idle time easily. On the horizon, he hopes to expand his aquaculture enterprise. Only about one-third of his plot at Crowes Pasture is currently in use. 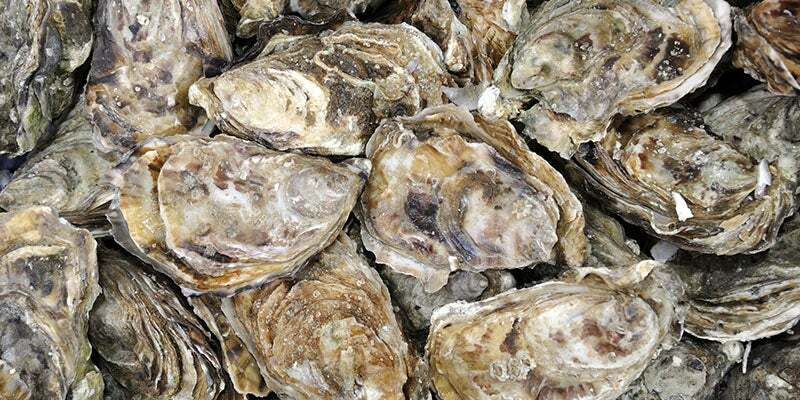 A typical yield from an oyster bed is only about 20 percent. 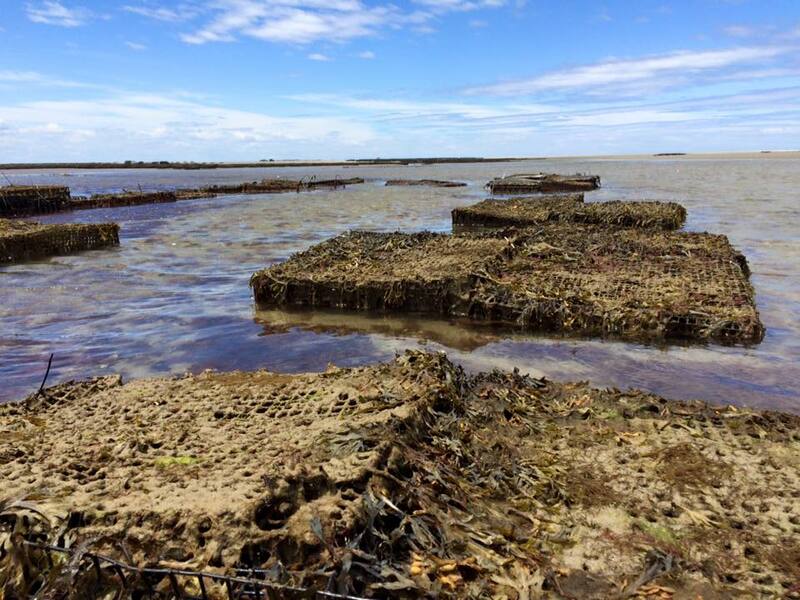 So adding capacity should allow Burns to harvest more oysters, with the ultimate goal of making The Oyster Company completely self-sufficient. Dream fulfilled? Sounds like it.